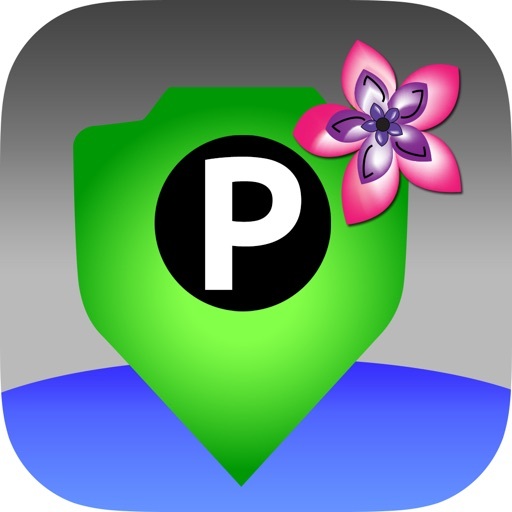 Pixavego® is an interactive tool to help guide you to the best photographic locations on the island of Maui. 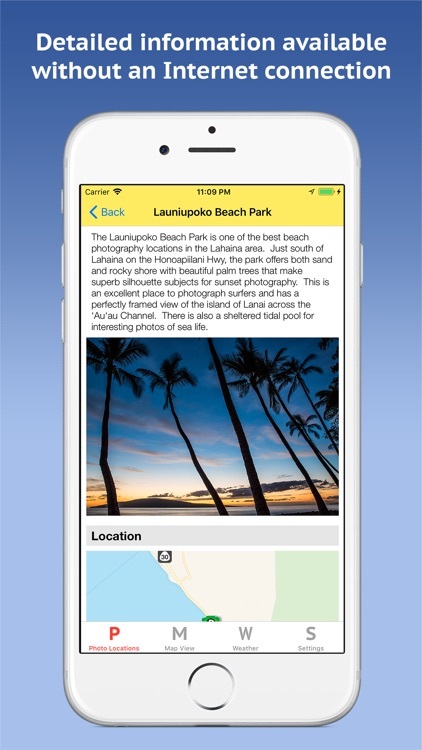 This app provides detailed geographic location information with photographic suggestions and beautiful example photographs that are produced and curated by a professional landscape and wildlife photographer. 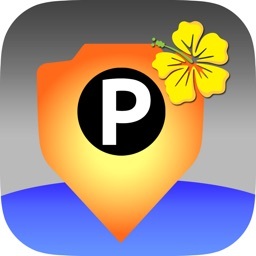 This interactive photography guide will help you select the best locations on the island for sunrise, midday, and sunset pictures. 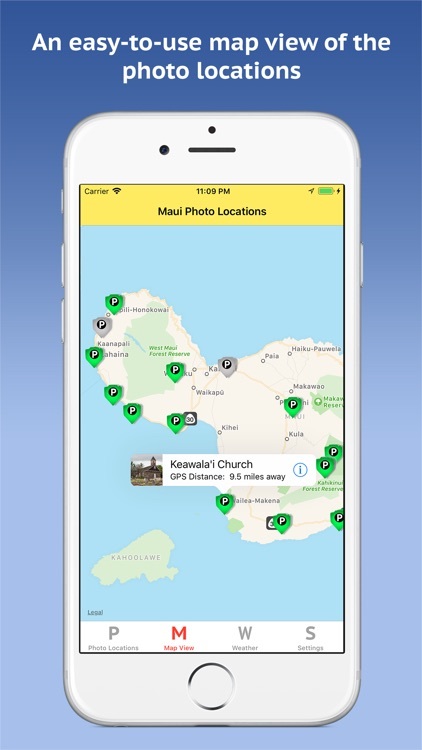 As a bonus feature, Pixavego also provides sunrise and sunset times along with local weather conditions around the island if you have an active Internet connection. 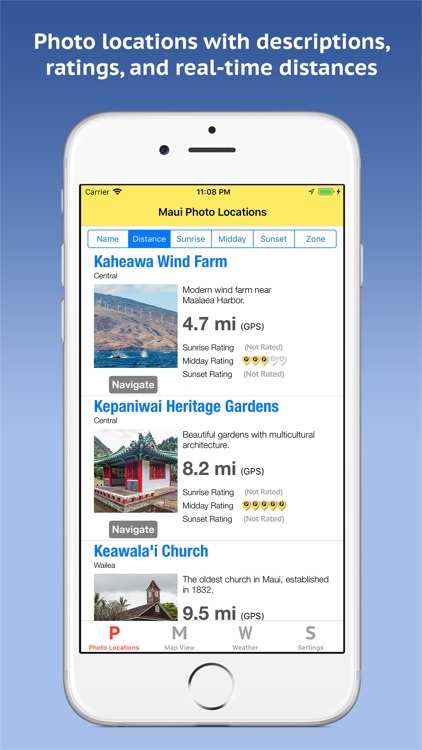 -- Photo locations can be sorted by name, distance, and rating to help you find a photo location that best suits your interests. 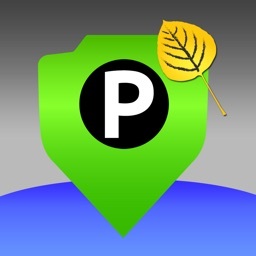 -- A cool map view of the photo locations shows your position relative to all the photo locations to help you find a nearby spot. 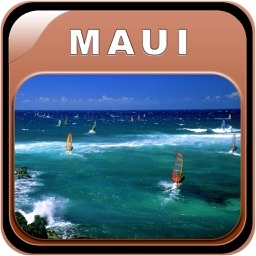 -- Each photo location has detailed description information and photographic suggestions. -- Professional photographic examples are shown for each photo location to preview the spot and give you a sample photographic composition for your own photography. 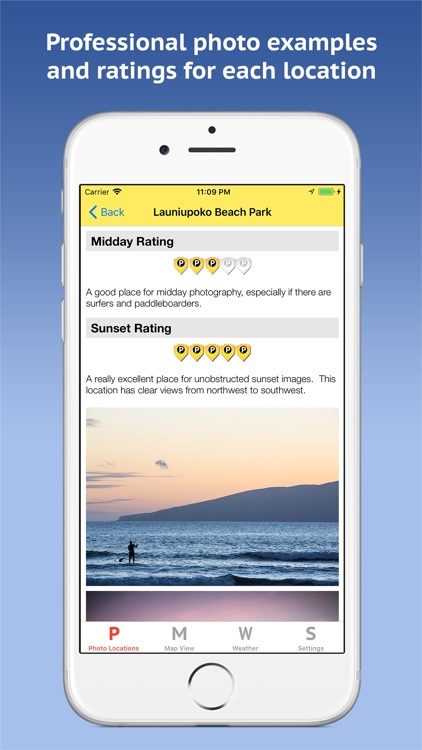 -- Each photo location has sunrise, midday, and sunset ranking information to help you find the best location for the time of day. 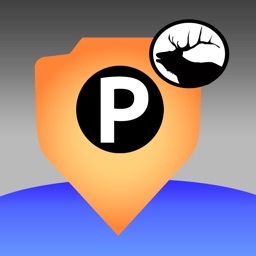 -- Detailed location information is provided for each photo spot, including GPS coordinates, elevation to help you find the spot quickly. 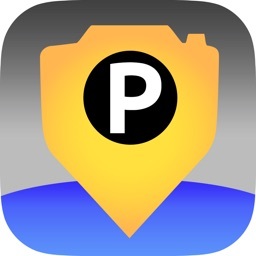 -- Pixavego can help you navigate to a photo location easily by linking to the Apple Maps navigation features. 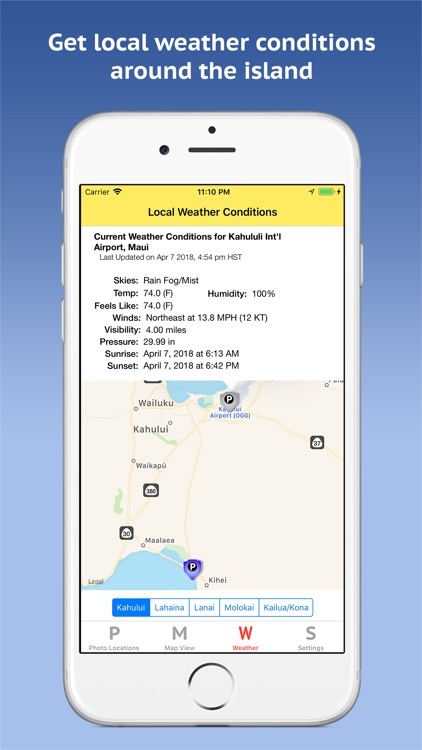 -- Local weather conditions are available if you have an Internet connection to help you plan your photography around weather conditions. -- Sunrise and sunset times are provided to help plan your photo itinerary. Enjoy using Pixavego on Maui, and I wish you the best in your outdoor photographic pursuits!